Omnimatics is an Internet of Things (IoT) company that offers innovative, connected vehicle technology to the transportation industry. Besides telematics, Omnimatics also builds technology that enables smart mobility devices like on-demand car-sharing, such as services like GoCar. As someone who drives to work on a daily basis, I’ve come to understand that vehicles are an essential part of our lives. However, I’m not one who understands how cars really work; I only know the basics. When a mechanic tells me something is wrong, I would just say go ahead and fix it, which in the end will cost me quite a bit. For those of us who feel like what goes on beneath the bonnet is a big mystery, then the question arises: wouldn’t it be great if we actually knew something was wrong, rather than depend on just what the mechanic says? As an Uber driver in early 2015, Raj Kissu Rajandran also faced the same problem as he was also just an average Joe when it came to cars. 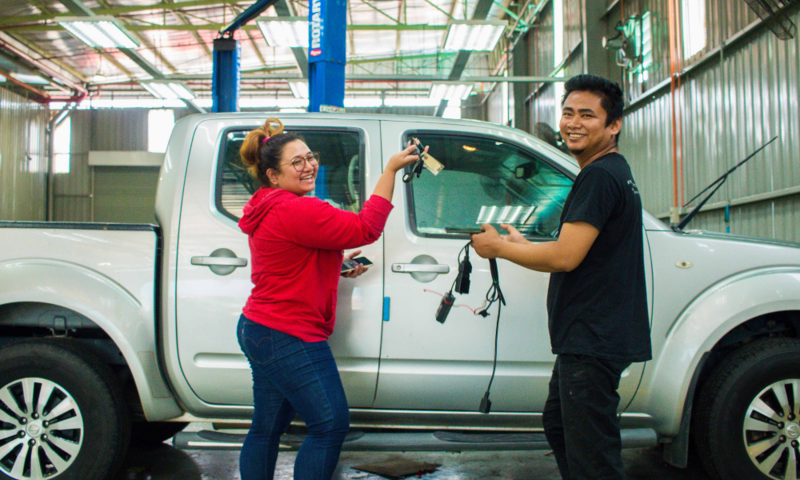 As he was ferrying people around on his car while driving for Uber, he thought that it would be a good idea to do some research on car maintenance since his vehicle’s warranty had expired. During his research, he discovered that vehicle computers had advanced a fair bit over the past two decades and that the data within could be of some use—not just to automotive technicians. It all came to him when he was driving home late one night and almost crashed his car on the highway. The following morning he took his car to the service centre and found out that his brake pads had almost worn out and there was no warranty for that. At this point, he wondered if he could use his recent discovery to build a service that would benefit individuals by informing them of their vehicle’s health—Raj puts it as a “pocket mechanic”. “One pitch deck and pre-seed investment later, Omnimatics was born with the intent to diagnose connected vehicles (Internet of Vehicles) and help car owners stay up to date on their vehicle’s status,” explained Raj. Raj Kissu Rajandran is the founder of Omnimatics, an Internet of Things (IoT) company that offers innovative, connected vehicle technology to the transportation industry. Having a background in software engineering and having worked for various startups, coupled together with his technical inclination, he built the foundation of the company. They had a previous product called CARdio which served as sort of Fitbit for cars. It’s a dongle that attaches to cars to continuously check their “health”. However, it has now been rebranded to Omnimatics Fleet, where they not only provide telematics but also builds technology that enables smart mobility devices like on-demand car-sharing, such as services like GoCar. Dictionary Time: In the automotive industry, telematics is a method used to monitor a vehicle. Combining a GPS system with on-board diagnostics, a car’s location and speed can be recorded and mapped, and cross referenced with how a car is behaving internally. Currently Omnimatics is backed by APM Automotive Holdings Bhd, one of Malaysia’s largest automotive components manufacturing groups. Aside from funding, APM has also provided Omnimatics with networking and industry insight. It has also helped speed up revenue generation as well as R&D initiatives that would have otherwise been impossible. 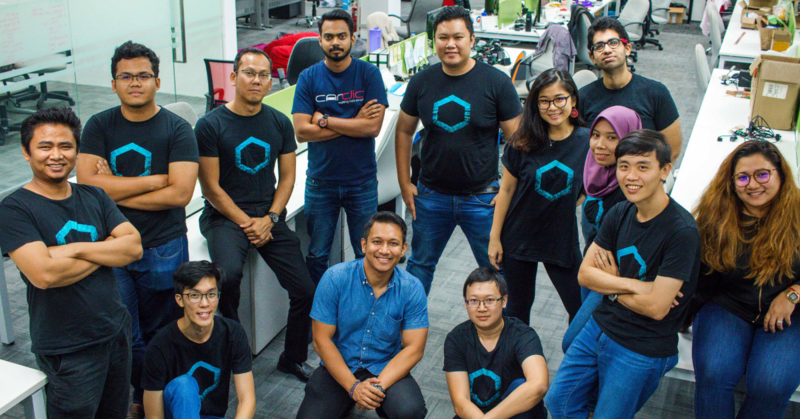 Since Omnimatics was established, a total of RM2.275 million has been invested as capital. According to Raj, the market they’re targeting is a multi-billion ringgit market with over 28 million vehicles alone in Malaysia. However, as APM is more of a conventional manufacturing company and Omnimatics was a startup, there were plenty of hiccups as their cultures differed and both companies operated their businesses in different ways. “However, we have managed to make things work through effective communication and compromise, which is a good sign as it shows that both parties are in this for the long run,” said Raj. Although Omnimatics targets consumers as the main audience, currently they don’t target them directly. Instead they work with mobility businesses that prioritise consumers instead. Raj stated that they are more of a “B2B2C” business. The subscription plans on offer. 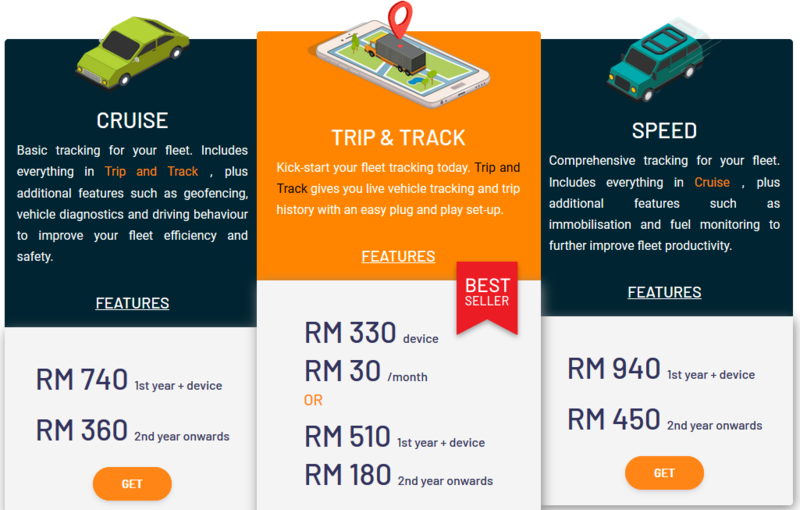 “Omnimatics monetises its telematics service through hardware sales and subscriptions. We have different pricing plans, so users can start with something basic and work their way up,” explained Raj. As Omnimatics deals with a combination of hardware and software, it makes it harder compared to a business where it’s full on software. “The very nature of the business means you cannot overcome it, so instead we learnt to manage expectations and work with the constraints,” said Raj. As of 15th of December 2018, Omnimatics has been deployed in over 1,000 vehicles with further plans to expand their connected vehicle offerings to enable all sorts of smart mobility services—not just on-demand car-sharing. If you would like to find out more about Omnimatics, you can check out their social media here and website here.